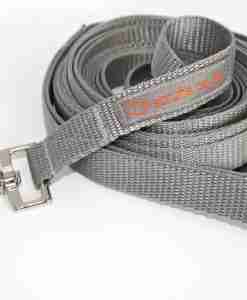 My Scrufts’ training leads are a 5 metre length of ultimate control for you and your dog. A strong easy-use clip is on one end and a loop handle with useful ring (for attaching whistle, treat bag, poo bag etc) at the other. And it’s available in five colours, so no more will you be limited to boring old black … although of course, I do offer black as well !